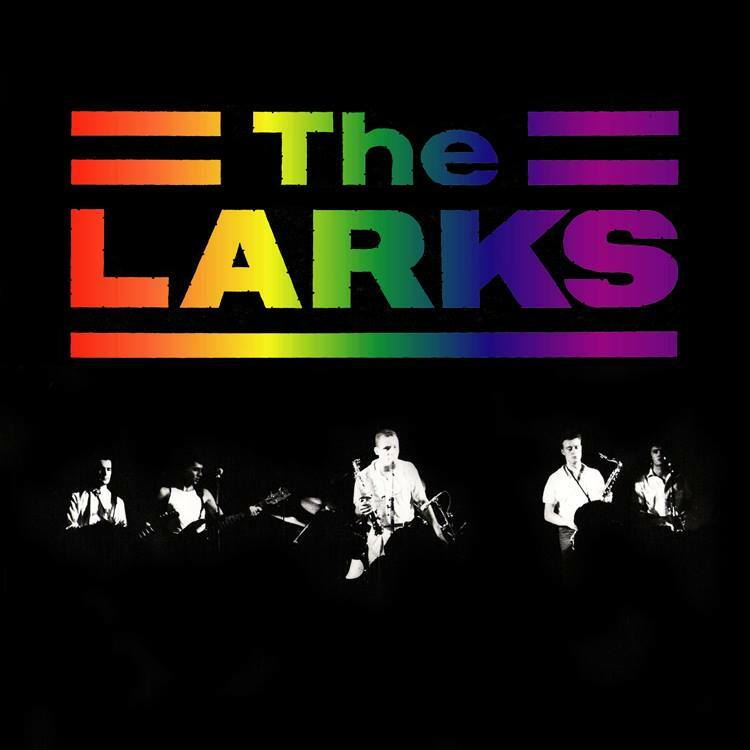 The Larks may not be such a familiar name these days, having broken up way back in 1988 and leaving only three singles behind them, but back at the time they were a very popular live band, able to headline venues like the Town & Country Club (aka, The Forum) and Astoria, despite being unsigned and not even having released an album. 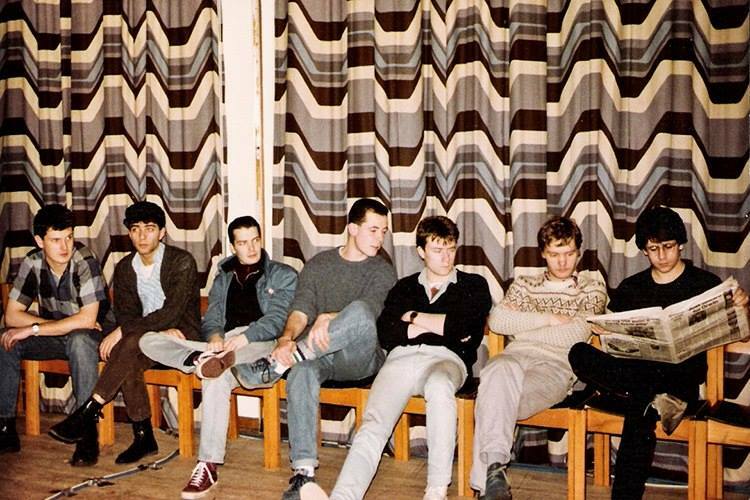 I first came across them soon after they had formed in Canterbury, around 1982, when they were one of the best local bands of the time, quickly progressing from a mostly punky covers band to playing their own lively material. Mixing the energy of punk with soul, Sixties R’n’B and a touch of ska, they created an exciting, danceable sound with entertaining lyrics that could also put across a point. After they had all finished their student courses, they made the decision to relocate to London and see how far they could take the band. They soon established themselves on the thriving live circuit and, despite remaining unsigned, played many successful tours and released three singles. Unfortunately, they eventually paid the toll for all the hard work, breaking up in 1988 despite having become a big live draw. In the intervening years, guitarist Mark Bannister has remained one of my oldest friends, and our shared love of music as varied as The Ramones, Sparks, Snuff, Syd Barrett and Bad Brains has ensured that we always meet up for a gig several times a year. But it’s only been recently that the subject of The Larks has really come up again. 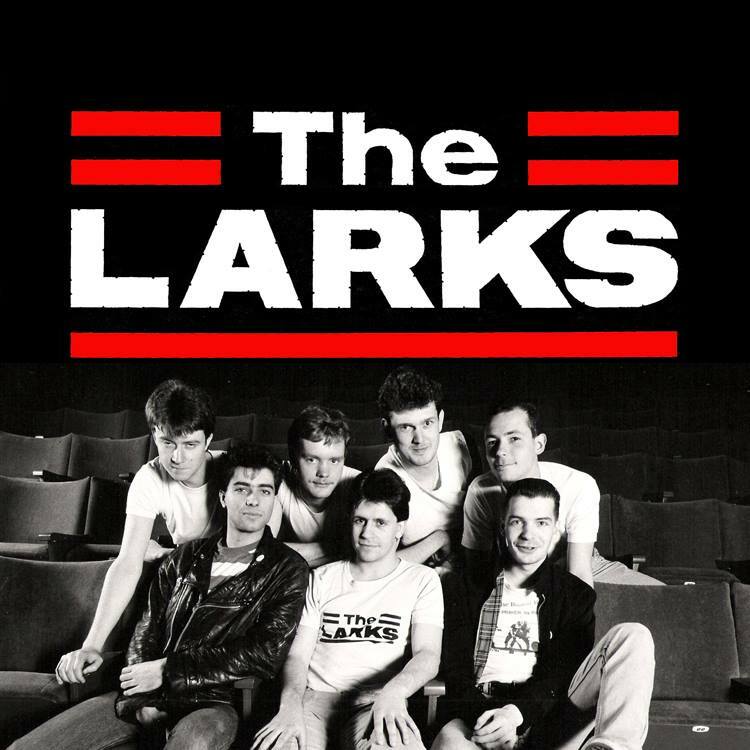 In a bizarre twist of fate, it turned out that The Larks have a small but devoted following in Japan, with bands covering their songs and their original singles being highly sought-after (resulting in a bootleg album that compiles all the original tracks !) Consequently, Mark decided that the band themselves should set-up their own internet page, for anyone who wanted to check them out, and has also begun to make the original singles available through Spotify, plus previously-unreleased live recordings. All-in-all, it’s a great way to let original fans enjoy the band again, and also put them out there for curious music-aficionados to discover what they’ve been missing. 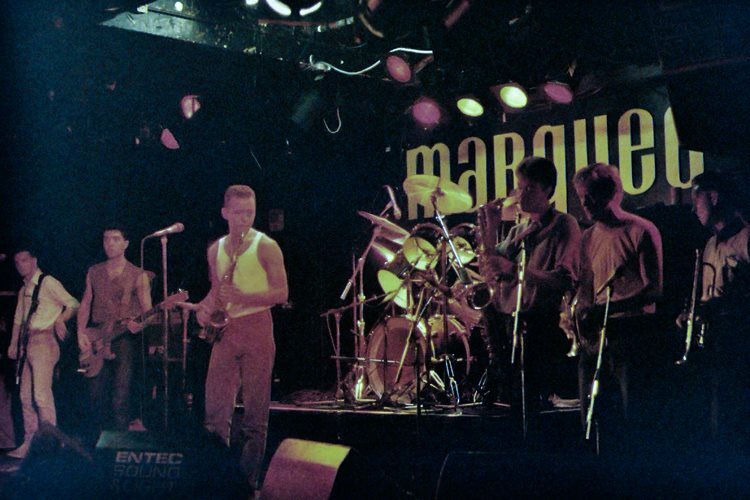 In support of this, I decided it was a good opportunity to do a retrospective interview with Mark and so, before the recent Walter Lure gig, we found a reasonably quiet pub and started the story right at its’ humble origins…. As you got to know more people around the college, the other members of the band gradually joined in… Did you find it a good place to start a band ? I remember when the brass section first started playing with you, and they were being introduced as the ‘Brass Bandits’… Were they ever unhappy with that name ? You all finished college around the same time and moved up to London to continue the band. Had that been the intention for a long time ? The other way for bands to get exposure back then was the John Peel radio show. Did you ever get anything played on there ? Looking back at the venues you played in London during that time, from the Clarendon and Fulham Greyhound through to the Marquee and the Astoria, they all seem to have one thing in common – they’ve all gone ! Do you accept any responsibility for this ? You were playing live around the UK pretty solidly for several years, but did you ever get a chance to play abroad. Your biggest headline gig was at the Town & Country Club (now The Forum) in 1988, but soon after this, the band split up. Why did you decide to split when, on the face of it, you were still really successful as a live band ? ‘Towards the end of The Larks, everyone seemed to be doing something else as well. Tommy ended up playing with Aztec Camera for a while and even appeared on Top of the Pops with them. Pete Daws had a walk-on part in a T’Pau video and got paid £100 which made us all really jealous… the £100 not the being in a video ! Phil started playing with Jools Holland, which is what he still does to this day. He’s the only one of us who’s been able to maintain a career in music, which is a fantastic achievement. Dave, Pete Daws and I started another band, the Fearless Vampire Killers, which I think was pretty good. It was less versatile than The Larks, just guitar, bass and drums and it was pretty fast stuff, but still melodic. It was easy because it was just the three of us and we could deal with each other, but we naively thought that we’d take on The Larks van and equipment, and play all the gigs that The Larks had been offered. We also thought we’d take all of The Larks following with us, but of course, it didn’t work out that way. We had to sell the van and all we managed to get were a few pub gigs, which were horrible because we’d already done that stuff, having to carry all our equipment to the gigs, so after a few of those, I realised I didn’t want to go through all of that again. I think maybe we should have given it more of a chance, but at the time, I think we were all too tired. Do you think The Larks split up at the right time, or do you regret the decision in hindsight ? Having been such a big chunk of your lives back then, has there ever been any talk of getting back together to play again, even if it was just a small reunion for yourselves ? HeadAche. Second Generation Bannister Rock’n’roll !